Do you use fuel injector cleaner with your Rock Crawler? How often do you take your kids wheeling with you? What's the next upgrade for your rig? Have you ever had cell phone reception while on the Rubicon Trail? For communication, you mainly use a _______ while wheeling. Your Crawler is comprised of ___ wrecking yard parts. Have you ever Rock Crawled without a windshield? Of these listed, which Toyota engine would you use in a Rock Buggy? This winter you plan to snow wheel _____ than last winter. 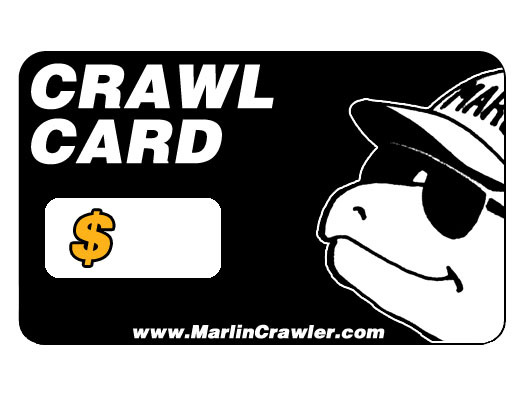 When was the last time you used a Marlin Crawler CRAWL Card? If we brought back our high quality USA-made Tube Doors, would you buy them? Does your 4Runner have a rear heater? Does your Crawler have a rear mounted winch? Do you carry a recovery strap when you go wheeling? Your Rock Crawler driver seat has _____ seat belts. Has your Rock Crawler ever been pictured in a magazine? Are you expecting to have a big snow wheeling season? How long did you wheel your current rig without Rock Sliders? Have you ever traveled by airplane to participate in a 4WD event? How many miles are on your rear differential?